The Core Staff are part of the IOCS Academic Faculty, alongside our Visiting Professors and Lecturers. They are also handling the day-to-day administration of the Institute. Most of the staff listed below are accepting applications for PhD students. Please contact the Institute if you are interested in doctoral research. Father Dragos Herescu is the Principal of IOCS. He is also teaching at undergraduate and postgraduate level on the degree programmes offered through the Institute and the Cambridge Theological Federation. He is also an Affiliated Lecturer of the Divinity Faculty, University of Cambridge. 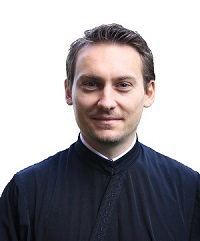 An alumnus of the Institute’s MA in Pastoral Theology, Father Dragos later graduated an MPhil in Theology with the Divinity Faculty, University of Cambridge. He is in the last stage of completing a doctoral thesis with Durham University, on the secularisation paradigm in the context of Eastern Orthodoxy, with particular focus on the Romanian context. Fr Dragos serves as parish priest for ‘St John the Evangelist’ Romanian Orthodox parish in Cambridge. Chapter on ‘P.A. Florensky’, in George Pattison, Caryl Emerson & Randall Poole (eds), Oxford Handbook of Russian Religious Thought (Oxford: Oxford University Press). Editor of Theology and Philosophy in Eastern Orthodoxy (Eugene, Oregon: Wipf & Stock). ‘Orthodox Theology and Philosophy of Language’, in Theology and Philosophy in Eastern Orthodoxy (Eugene, Oregon: Wipf & Stock). ‘Zwischen Immanenz und Transzendenz. Ein Versuch mit Radical Orthodoxy mitzudenken’, in Sven Grosse, Harald Seubert (eds), Radical Orthodoxy. Eine Herausforderung für Christentum und Theologie nach der Säkularisierung (Leipzig: Evangelische Verlagsanstalt, 2017), pp. 185-201. With Harald Seubert and Sven Grosse, translation of John Milbank, ‘Radical Orthodoxy: a Rough Guide für deutschsprachige Leser‘, in Sven Grosse, Harald Seubert (eds), Radical Orthodoxy. Eine Herausforderung für Christentum und Theologie nach der Säkularisierung (Leipzig: Evangelische Verlagsanstalt, 2017), pp. 39-72. ‘Will the Truth not demand a Sacrifice from us?’ Reflections on Pavel A. Florensky’s Idea of Truth as Antinomy in the Pillar and Ground of the Truth (1914), Sobornost 34/2 (2013), pp. 34-51.
Review of Rico Vitz (ed. ), Turning East: Contemporary Philosophers and the Ancient Christian Faith (St. Vladimir’s Seminary Press, 2012), Notre Dame Philosophical Reviews, 5/10/2013. ‘Au-delà des limites de la raison: réflexions sur l’ouvrage de Paul Florensky La Colonne et la Fondement de la Vérité (1914)’. Contacts. Revue orthodoxe de théologie et de spiritualité LXV (2013), pp. 89-100. 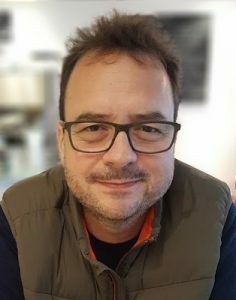 He previously worked for the Metropolitanate of Moldavia (Iasi, Romania) as Editor-in-Chief at Trinitas Press, where he supervised and was involved in the publication and translation of numerous books and journals – an activity he enjoyed for almost nine years. Razvan has always had a special interest in ecumenism, being involved in various ecumenical milieux and projects. He spent a one-year internship with the World Council of Churches in Geneva. 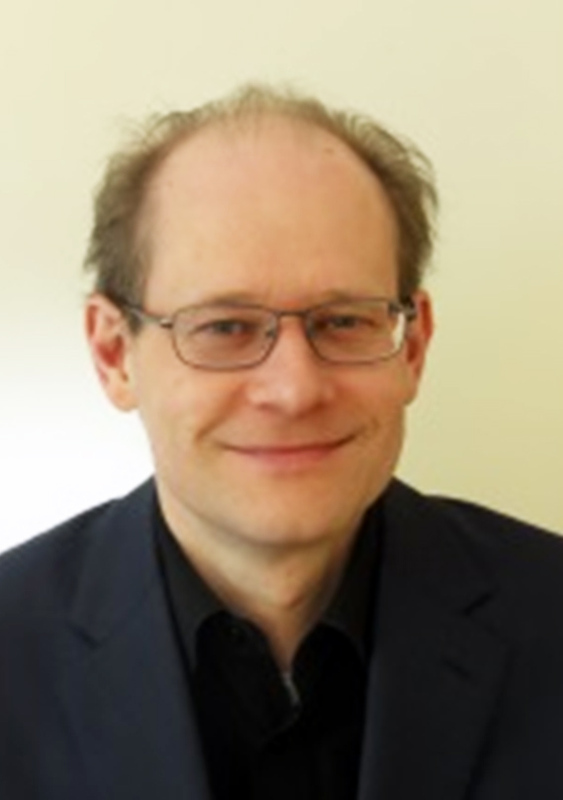 Revd Dr Alexander Tefft is Chaplain at IOCS and a Tutor for the Distance Learning Courses. A graduate of St. Tikhon’s Orthodox Theological Seminary in the USA, he is Parish Priest of the Orthodox Parish of Saint Botolph, meeting at St. Botolph-Without-Bishopsgate, London, near Liverpool Street. He is Assistant to the Dean of the Antiochian Orthodox Deanery of the United Kingdom and Ireland and theological advisor to its ordination committee. A Canadian resident in London, Fr. Alexander has served in parishes of both Slavic and Byzantine tradition. He has been a Commonwealth Scholar at Oxford University and has taught Orthodox dogmatics and history in Canada, the USA, and the UK since 1991. His main research interests focus on ecclesiology, specifically the dogmatic foundations of the Orthodox Church and the heresy of phyletism, the concept of a national church. Since 2004, he has been a tutor at the Institute and taught the MA in-house course on Orthodox apologetics. Fr Raphael Armour is Associate Chaplain at IOCS and also a member of THE WAY Organising Committee. Following a career in the marine industry in London and New York, he and his family returned to the UK in 1996 and moved to Cambridge four years later. He was ordained to serve as deacon for the Russian Orthodox parish in Cambridge in October 2000 and to the priesthood in July 2001. Fr Raphael is also a member of the ecumenical Chaplaincy Team at Oakington Immigration Reception Centre, near Cambridge. Previously a biochemist, Mat Ridley joined the Federation in 2001 as its IT Officer, and is responsible for the day-to-day running of many of the Federation’s computer systems. He also works for Wesley House, Westminster College and the Institute for Orthodox Christian Studies. Variety being the spice of life, he spends a lot of his spare time in front of computers too – but he also enjoys watching films, cooking and walking. He has also written a novel.